It has been quite a while since we last update anything here and also on our Youtube Channel. Well, we are after all currently in a resting session for the whole month of January. 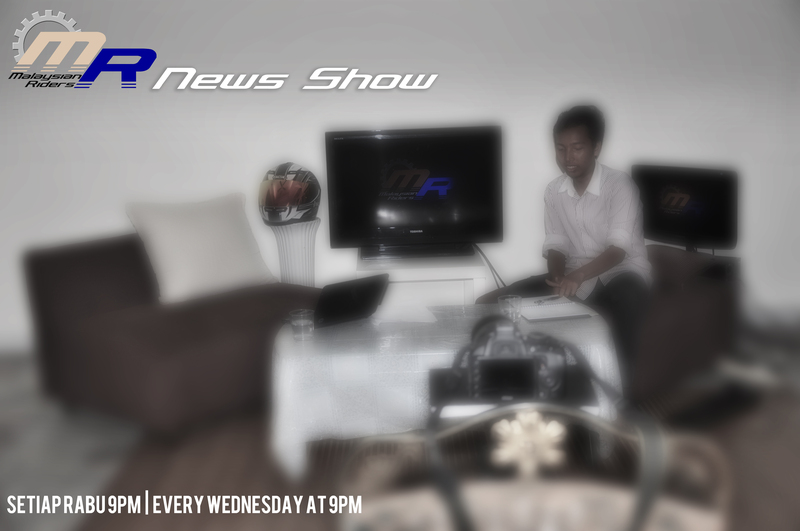 But we decided not to stay silent for too long and with that, we will be releasing a new segment under our Malaysian Riders TV program which will be known as Malaysian Riders News Show. The show will consist of our presenters and maybe some guest to appear and discuss on the relevant news from the Automotive industry regardless of the 4 wheels or 2 wheels segment. The show will be released every Wednesday at 9PM GMT+8 Kuala Lumpur time. We are hoping to get even closer to all our audiences and yes everyone can now participate in our shows. Just send us an email at malaysianriders@gmail.com and we will get back to you as soon as possible. Please do remember, the show is Every Wednesday at 9PM GMT+8 Kuala Lumpur time. We would like to thank all of you for the support for our little show and we are hoping to evolve it into something bigger. Please do LIKE our FACEBOOK PAGE and SUBSCRIBE to our YOUTUBE CHANNEL to get more latest updates and be the first to know it.